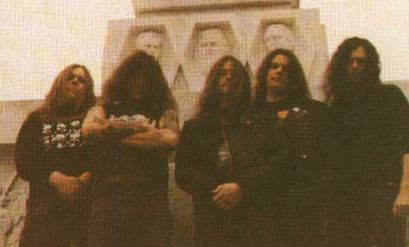 Morpheus Descends were an underground NYDM band in the same vein as Suffocation and Immolation. However, unlike their peer New Yorkers, they celebrated only cult success and broke up after releasing one two full-lengths, one of which was only available in a private print. Spanish label Xtreem Music recently repressed the band's full-length Ritual Of Infinity along with their first 7" EP, Adipocere, on one CD, the first MD material to get widespread distribution ever.